If you've never ridden an electric bike before, or are new to a cycling commute all together, this is the bike for you! 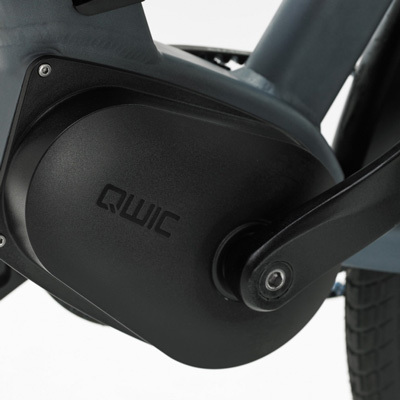 With Bluetooth, integrated lights, concealed battery, disc brakes, suspension and rear wheel drive for under £2000 - the RD9 from QWIC is of the most competitively priced, full featured electric bikes on the market that punches well above it's weight. Designed for the dense, busy streets of Amsterdam, the RD9 is the perfect bike for anyone looking for an easy to use daily commuter bike. Dutch designers QWIC made their Urban range with the daily commuter in mind. 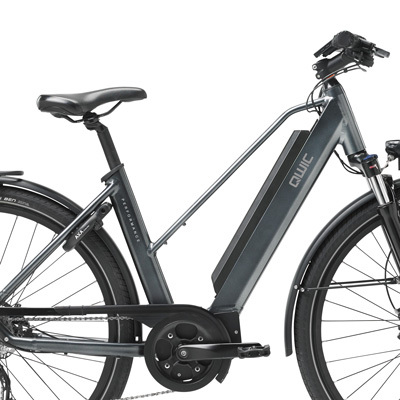 Those new to cycling can feel confident on city rides thanks to the sturdy frame, easy gear changes and powerful rear motor. 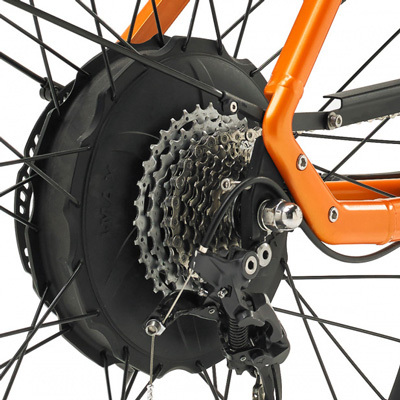 The RD9 is a clean, stylish looking package that is driven by a rear wheel motor, giving it great handling, quick power delivery away from traffic lights and a clean, easy to use gear changing system through a derailleur. The rear motor rides a similar to a traditional bike, with pedal power delivered straight to the rear wheel. 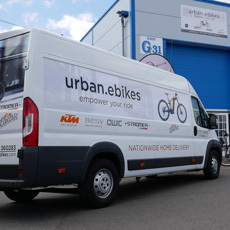 Bluetooth connectivity lets you see key information on the move such as remaining range, speed and distance travelled and other key info. Never have a dim light again. The 20 Lux front light draws power from the main battery, giving 100% brightness at all times. Reflectors are fitted front and rear to ensure cars can always see you. Front suspension absorbs all of those bumpy London roads to give you a smooth journey. A sleek battery is installed into the downtube. At first glance you wouldn't think this is an e-bike at all. The battery is quickly removed and can be charged anywhere. LEDs at the top of the battery show quickly how much charge remains. A 35Nm rear motor delivers power directly to the rear wheel, giving quicker acceleration and more agile handling than a mid-motor might. 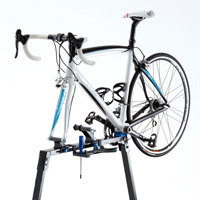 Combined with the derailleur, this gives the bike a sporty ride. Powerful Shimano Hydraulic Disc Brakes give superb stopping power in any weather. More powerful than Rim brakes, these require minimal maintenance and are super responsive, ideal for the unpredictable commuter traffic. The QWIC display is easy to read with 4 power modes easily switched between. Soft, easy grip rubber handles are easy on the hands and arms for longer commutes. The MIK luggage carrier has been specially designed to allow accessories from a range of brands to easily connect, swap and fit onto your bike. The QWIC Mobile app lets you see distance travelled, bike settings, estimated range, navigation and battery charge rates. This is a supplementary app to the HUD fitted onto many bikes.